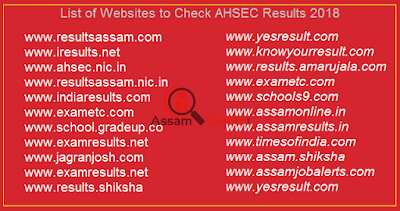 Assam Higher Secondary Education Council (AHSEC) is going to declare the Assam HS Final Result 2018, Assam HS Result 2018, AHSEC Result 2018 on its official website ahsec.nic.in tomorrow 31st May 2018. The Council will announce the Assam 12th Result 2018 at 9:30 am on May 31. The AHSEC secretary said that the Council will declare the results of all three streams - Arts, Science and Commerce on May 31 at all the district head quarters. The students will get their results through the official websites and application likely from 9.30 am, the official mentioned, adding, that the mark sheets will be available from the respective schools on the same day. 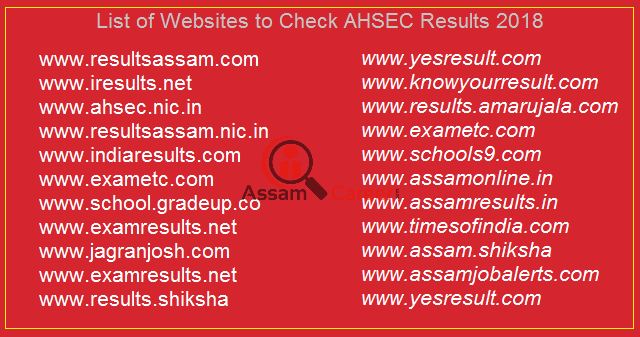 Apart from official websites, AHSEC Results 2018 will be available on various other websites.